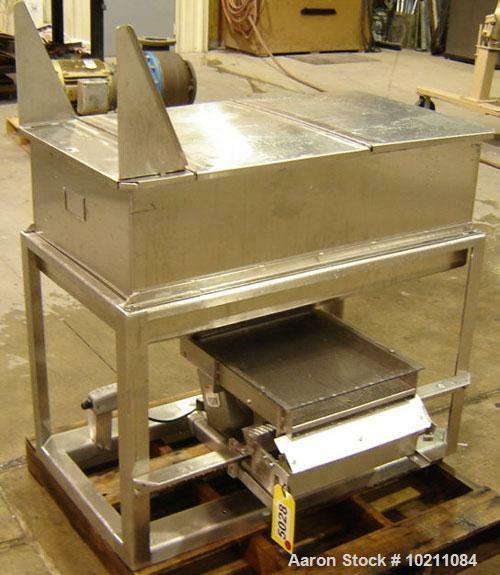 Used-15" Wide X 18" Stainless Steel Screener Feeder, 7 Cubic Foot Stainless Steel Feeder Hopper and Eriez Magnetics Vibratory Feeder Screener, Model 45A, Style 26. 115V, 1 ph/ 60 hz/ 1.9 amp. 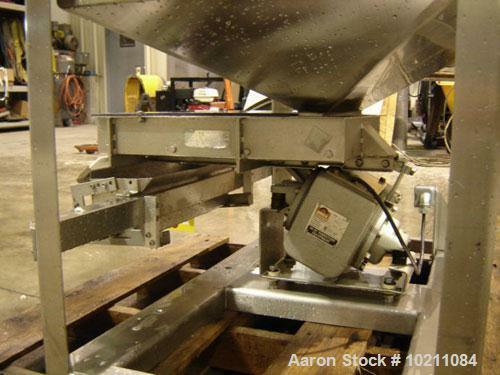 Feeder screener drive is electromagnetic. 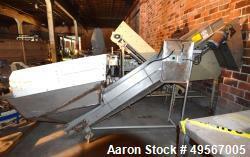 Hopper is 21" X 40" X 15" straight side with 2" X 14" feed slot going into the screener. 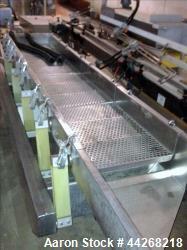 Fines outlet discharges into a small box with pneumatic vacuum conveying hookup for removal of fines. 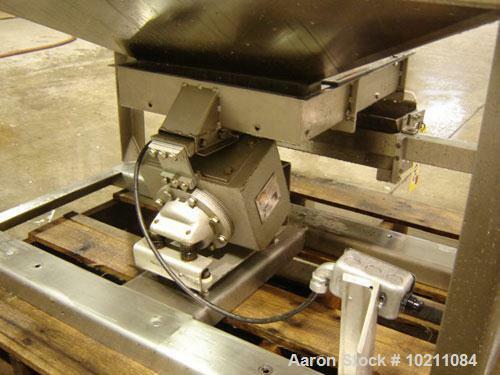 Oversize outlet is the entire width of feeder ( 15") with adjustable deflector at discharge. 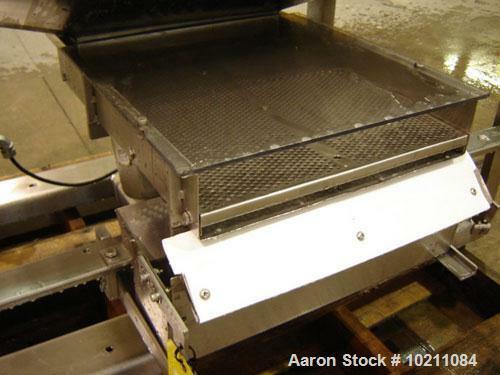 Screen in the feeder is a perforated plate with 3/16" diameter holes. 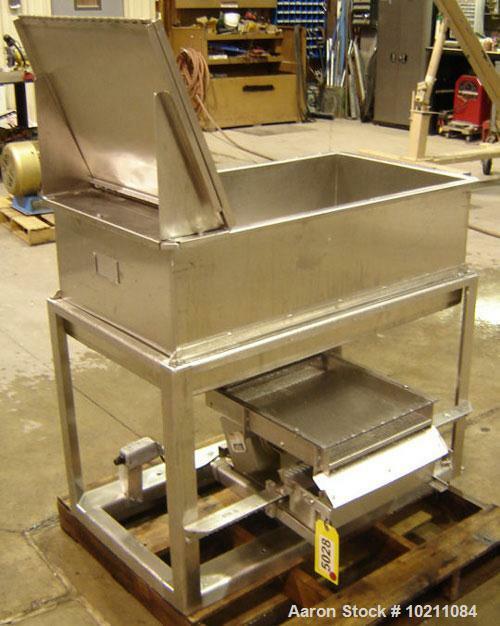 Feed hopper has a hinged stainless steel cover.